This entry was posted in health, nutrition, trails/outdoors and tagged cancer drug yew tree, drugs from plants, pokeberries, pokeweed, Southern cuisine, taxol, toxic berries, toxic plants, yew bushes, yew trees. Bookmark the permalink. Good information to know. Thank you! You’re welcome. I may do a follow up edible wild berries post. I wanted to get the poisonous ones out of the way first. 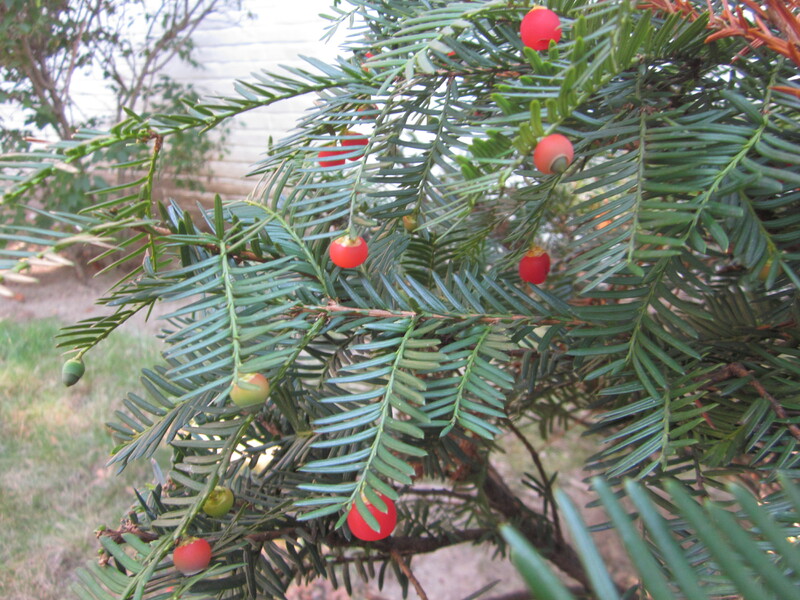 We had yew plants growing in our backyard when I was a kid. My sister and I would pretend to prepare a meal with the berries which, for some reason, entailed smashing them with a rock. They SMELLED like poison, I can’t imagine eating one. I’m glad you didn’t eat them. I didn’t realize they smelled so noxious, unless this was a different species from what I am used to. There are so many species of yew in this country, with varying levels of toxin and aromas. Hope you’re doing well! It probably isn’t a very strong smell unless you crush handfuls of them 🙂 But yes, thankfully our parents warned us not to eat them. Hope you’re doing well, too – recovering from that race!! Wonderful article, thank you for sharing. 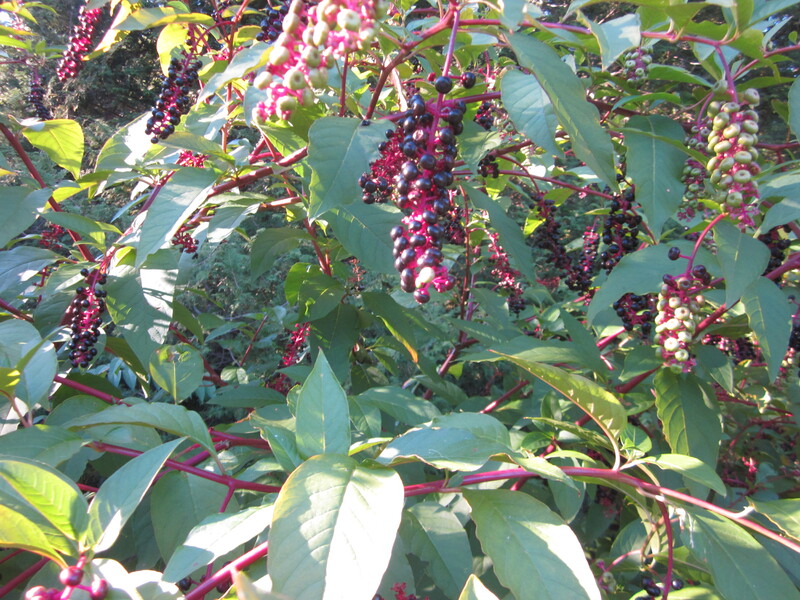 Thanks to my great aunts, I grew up enjoying pokeweed, but you are right it’s all in the know how.